The jumps world seems to evolve very quickly and the Grand National already feels an altogether different race to the one we knew even 10 years ago. So, from a trends perspective it pays to focus on very current things. As the handicap is now less artificially compressed, what we'd expect to see (and what we do see) is a shift toward better quality types on a fair weight, rather than out and out handicappers smuggled in on a low weight. Handicappers do still win, but the balance has shifted and with probability you always want to be working with the gradient, than fighting it. On this theme, one interesting filter is the strength of results from 2013 to 2018 achieved by runners who ran last time out in a non-handicap chase of any kind, and who have career winning form in Listed company or better - i.e. better than handicaps. Especially of course, those lining up here on a fair mark. After chewing the fat on this approach JURY DUTY comes out a very strong each way candidate for Gordon Elliott. I put him up at 25/1 EW on the ENIGMA Forum a few days ago, and he's been widely touted since but 16's is still not a disaster. Meanwhile, if he gets round in one piece, the impressive RATHVINDEN is a nailed-on stayer with a massive chance on the form book for Willie Mullins. Again, we backed him some time ago at much better prices - as did loads of people - so I'll put him up. His claims are there for all to see and hopefully you are already on. 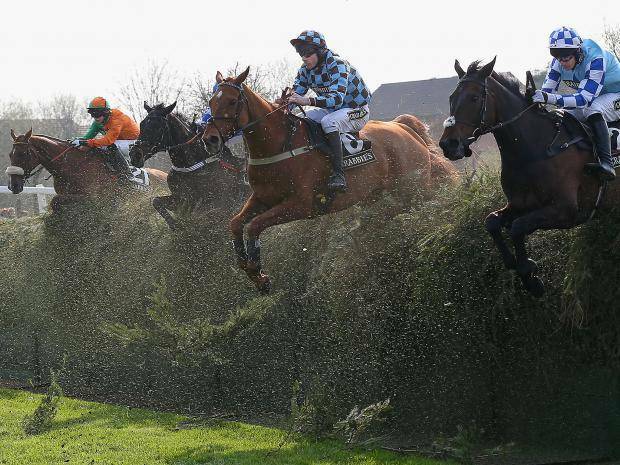 But this is the Grand National, so why stop at 2. We need an outsider too! I've backed MINELLA ROCCO, principally because JP McManus horses who record a 'Pulled Up' last time out have an uncanny habit of winning nice races the next day. Like many seasoned JP watchers, I've been selectively following and writing about this angle for years. Don't Push It for example - ran a shocker at Cheltenham and was then backed off the boards on course at Aintree before winning this very race. Minella Rocco had an almost carbon copy prep a few weeks ago (if prep is the word). Perhaps, too bad to be true. I'm not sure you would even actually send a horse here who is that out of form. Would you? If the same thing happens today with Minella Rocco, I couldn't bear not to have a penny on a past winner of the 4-miler and 2nd in a Gold Cup in this ownership. The ground is coming right for him too. The way his campaign has shaped since wind surgery, the whole season may have been planned around getting into this race on a workable mark. And being a JP horse, whatever he did last time out is best turned on it's head - it's just as likely to be have been about sending his price out. The yard form is a concern. Tedham ran a shocker for Jonjo yesterday, for one of his biggest owners, when expected to run really well. They did have a Grade 2 mares' race winner in the past 2 weeks, and she ran very well. So, like Lostintranslation who hacked up yesterday for Mr Tizzard, whatever their tribulations, neither yard is entirely on the canvas. You can also pick holes in Minella Rocco's jumping, but for 50/1 you can't have everything and he jumped great in the Gold Cup on good ground. He's fallen twice in his career, which would be one more than you'd like to see for a potential National horse, although coincidentally Don't Push It had the same number of prior falls. At the end of the day it's a punt, but crazier things happen every day. For JP, Minella Rocco is a dart at the board and with his colossal stamina, for a lightly raced 9yo in that ownership, it's entirely logical that this has been the plan for some time. Kemboy and Pentland Hills did the business for me yesterday in my Key Racing Gold thread on the Enigma Forum. This blog is just a small sample of the bets I put up there. Since Cheltenham I have put up just 8 bets, producing winners at 7/1, 4/1, 9/4, 9/4 plus a place money profit on an EW treble. In March alone my forum thread was over 50 points up. ENIGMA is a very different kind of betting forum. Because it's relentlessly high quality, you have to pay to get in. But once you are in, everything is free. How often does a CD specialist line up in this race at prices up to 20/1, when that horse has 9lbs less to carry than last year and is still only 9yo. Admittedly from a few pounds out of the handicap, but that's how the market values Kilcrea Vale today, despite a brilliant record over CD, a very attractive weight and the fact he runs for Nicky Henderson who has an great record in the race. The icing on the cake is they've recently given him a bit of practice in headgear to sharpen him up. In every way he looks laid out to a nicety. If he gets around in one piece, and he hasn't failed to complete any race since 2015, then he has an outstanding frame chance and hopefully more. I got some price boosted with Hills at 22/1 and the rest at 20's. But there is plenty of 18's elsewhere, some to 6 places. Defi De Seuil did the business for us yesterday in the JTL. The last 6 bets on the Pro Tips Bog have served up winners at 33/1, 5/1 (7/1 BOG) and 10/3. BUT, in that time readers of my Key Racing Gold thread on the ENIGMA Forum have also bagged EXTRA winners at 14/1, 6/1, 6/1, 10/3 and 7/4. And so, onwards to the Gold Cup. Thistlecrack interests me EW, but the yard's horses just lack that bit of extra sparkle at the moment. Clan Des Obeaux obviously has a question to answer in terms of stamina in partly-testing ground at a stiffer track, over an extended trip. It's not hard to see him wandering about on the hill. Presenting Percy is a magnificent beast and perhaps the most likely winner, but clearly so inexperienced he's tough to back at the price (but good luck to him). If he drifts I'll probably have a few quid late. Native River is the reigning champ, ticks the boxes, but it's back to the Tizzard thing. Maybe this year is ripe for an upset. If Might Bite couldn't win it last year it's a bit of a stretch to see him winning it now. Kemboy really wants very decent ground, ideally a bit faster than this and Ruby seems to be sitting on Bellshill more in hope than expectation. All this probably means Presenting Percy wins, but I think I'd rather go the outsider route. The mare SHATTERED LOVE hosed up last year in the JLT (Kemboy well beaten), so we know she loves the track - she also needs going with soft in the title. There is also an interesting form line with Clan Des Obeaux via Terrafort in that race. She's been disappointing this season but has not had suitable ground and has also had wind surgery. The yard regard her as a very strong stayer and they clearly think a great deal of her. She must be working well to be here. If Gordon has got her right, then she has that all important Festival form to run a big race with her mares' allowance. The ground will hopefully just about be okay. I think she'll be ridden for a place and can get in the frame, but if Percy clobbers one the whole thing could end up wide open. Also a quick mention for the Foxhunter Chase. The only qualifier this year on a strong trends system I use is UCELLO CONTI - he ticks every box and has the Coddfather on board for Gordon Elliott. Has to be worth a few quid. Handicap winners at 14/1 and 33/1 so far this week on the ENIGMA Forum has been a great start. One of our members, who resides in France, messaged me yesterday to say he bagged William Henry at 56/1 on the PMU! Spend a few hours on the JLT and one and you just can't get away from DEFI DU SEUIL having a great chance. Geraghty got him beat when going too soon in the Dipper and put that right at Sandown. 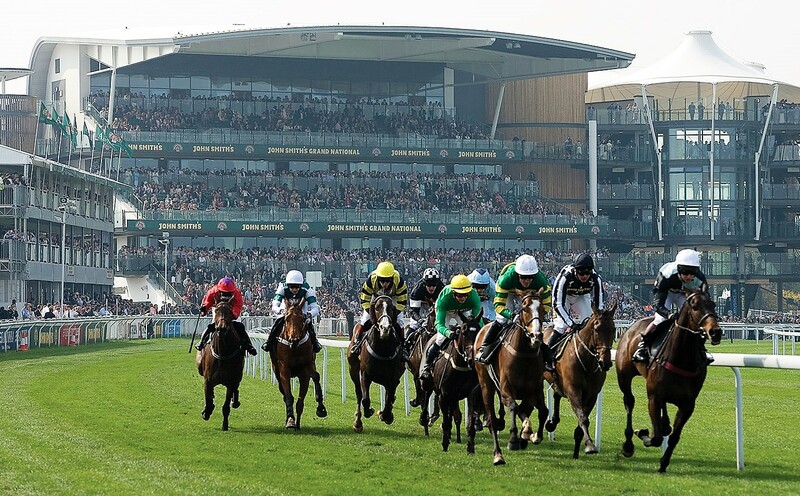 Defi Du Seuil has a great course record, won't mind what the weather does and is surely the one they all have to beat. Improving mare Pravalaguna with her allowance might be the EW play, but she's probably striving for 3rd at best and she's not the biggest. JP looks in the driving seat on this one. Winners yesterday at 6/1 and 14/1 on my ENIGMA Forum thread, so frustrating to pick the wrong one to put up on the blog. Aiming to try and fix that today. It's going to be very tacky and stamina testing out there and I think DELTA WORK is the one they all have to beat in the RSA Chase. He's a thorough stayer and a grinder and condition looks right up his street. He also comes up strongly on my race trends and is Timeform top rated too. Elsewhere, Nicky Henderson's WILLIAM HENRY has a similar profile to the stable's Beware The Bare who bagged the Ultima yesterday after a wind op, following an excellent run in the same race (in similar conditions) 12 months before. William Henry goes particularly well at Cheltenham and is on the same mark as last year, albeit he's lost James Bowen's 3lb claim. Nico is on board this time, suggesting William Henry is going well at home and I can't help noticing he's been kept fresh - having won 3 times previously coming off a break. Surely well worth a poke at a huge price. Time for the big one! There's a bit of rain about and the going is likely to be softish. It's a wintery, windy day although they will have fresh ground to start with it's going to be very hard work in the later races. It goes without saying we are looking for horses at home in the conditions who will stay. I'll be pressed for time this week, but I will aim to give you one or two each day - to access all my bets you obviously need to be a member of the ENIGMA Forum. The dogs are barking for the Gordon Elliott runner who is a triple qualifier on our 'Cheltenham File' stats report for the yard. Rain no issue, can be a little sketchy but has a big engine and if he gets round looks sure to run a very big race. It’s that time of year again. 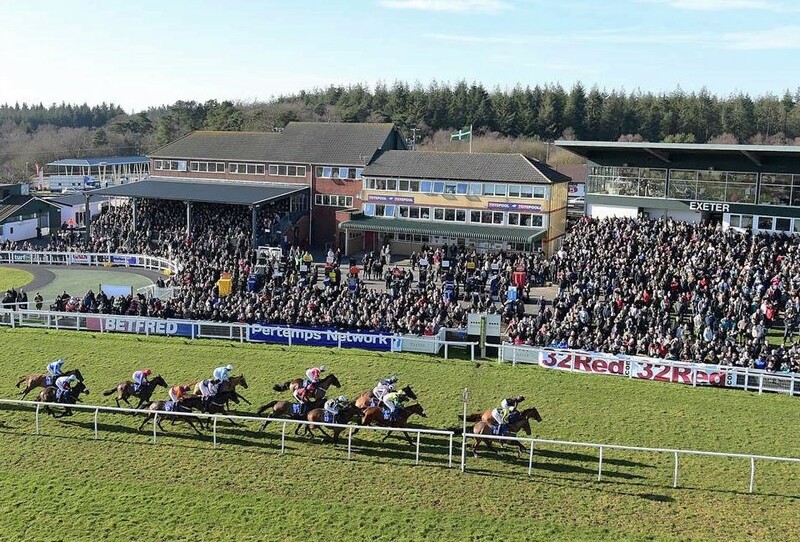 Imperial Cup day, followed by a week of the finest jumps racing on the planet. It doesn’t get better than this, so it would be nice to set off with a winner. You don’t get to win a race as competitive as this by accident. 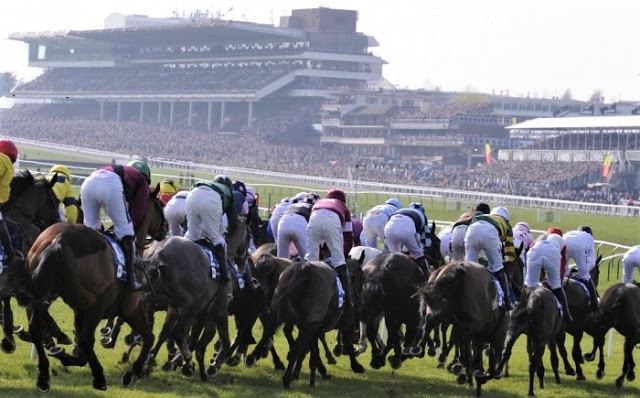 Horses prepared specifically for the race will always tend to be at home in soft conditions - so it's a relief to see the ground described as soft (heavy in places) on the hurdles course. Things don’t feel right at Sandown on the jumps course unless there’s ease underfoot. Anything else and I tend to lose interest. Other than a liking for the conditions, the other key pre-requisite is to arrive in good form. Winners have almost always recently confirmed their well-being, even if smuggled into the race on a protected mark. They also have to be at their best going right-handed (or at least not disadvantaged). Other things to look for. A prep run 16 to 60 days ago. Not too much weight - ideally no more than a net 11-02 - and the ability to stay further than the bare trip. Given the strong galloping, testing nature of the race it’s a real challenge just to run to your mark. The ones that do stay well. Plug all this in and the one who ticks all the boxes is Paul Nicholls' MALAYA. Stays further - a stiff 2 miles on soft looks perfect - goes RH, ideal weight, excellent career record and an improving profile. Looks thoroughly laid too out after a deliberately quiet (but excellent) prep. Henderson controls the handicap but has inadvertently set things up to a nicety for Malaya, although it’s worth having a saver on his own runner, DREAM DU GRAND VAL, who is improving fast and could have more untapped potential. Looking further ahead, this would be a very timely moment to obtain ENIGMA Forum access. Once a member, it's free to subscribe to my Key Racing Gold thread and receive a copy of all my bets throughout the Festival. Roll on Tuesday! 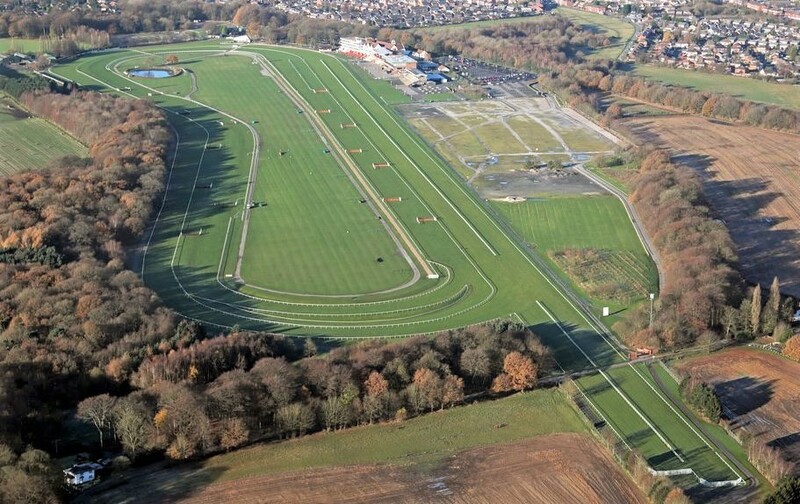 Today we are off to the park, and the Jockey Club's least-loved racecourse. Their disingenuous slogan for this meeting "it may be wet, it may be windy, but it will be wonderful". No thanks to you! Good old Kempton has the last word, with a glorious forecast of 15 Celcius. This is an excellent betting race, with a long history of wrong-footing the market. Ideal betting fodder for value players. There have been 5 winners at double figure SP’s in the last 10 years, including 25/1 and 28/1. While the favourite in the last 3 years has finished 9th, 9th and UR. There are several outsiders to pick from, but the one I've had my eye on is CATAMARAN DE SEUIL, who has shown this year that preconceptions about him being a purely a soft ground performer were misplaced. The 7yo is in career best form and looks ahead of his mark over the right trip, even without improvement. He isn't going to Cheltenham because he needs a flat galloping track. Crucially, on decent ground, he also needs a trip and today he gets it all. Catamaran was a fast finishing 2nd to Calipto last time out over an inadequate 2m4fl - staying on very strongly after the last, while giving that one a net 5lbs. In hindsight an impossible task - even after a 5lb hike and the loss of his 7lb conditional riders' claim, Calipto came out and won a Listed chase at Ascot last weekend. All the while Catamaran’s mark has not changed at all. The key to this race is often simply being in good form: just backing every runner with a top 3 finish LTO since 1998, produces: 18 wins from 138 +42.83 to SP. Exactly half of those winners came directly from good races at either Aintree, Cheltenham or Wincanton, so he's a decent trends match. Moreover, Catamaran de Seuil has a great race record: 1st or 2nd 10 times from 15 chase starts and he's with a quality trainer in Dr Newland. My main concern is whether the yard are firing yet after giving all their inmates flu boosters this month. Hopefully, they will shake that off this weekend. If he does disappoint, I suspect that's all it will be and Catamaran will be of interest wherever he goes next. In the meantime, lets hope he can make a mockery of his 141 rating today. I spent quite a while on this race and one horse does pop out as offering a value angle. Owner Brocade Racing used to quite regularly play the PU last time out trick with the Pipe yard, ahead of a serious crack at a little staying pot at a provincial track, and they have an interesting runner with that profile lining up today. The market assumes SANDY BEACH is a horse losing the will to compete three runs after wind surgery - and that may be the case - but the gelding was previously PU in his only start at Sandown and I think it's just as likely that last run was intended to drop him a few pounds ahead of today. It's not as though he was running especially badly before wind surgery. If this proves correct, then it was mission accomplished and he lines up realistically treated at a track he likes, over an ideal-looking trip in the advertised conditions. Colin Tizzard also has an excellent record in the race: 2 wins from 8 runners with 2 also finishing 4th in 14 runner fields. In fact, he's a man who in general has a habit of popping up with well-treated horses to do well in decent handicaps of all sorts. Speculative, and it may not be pretty to watch even on a going day, but Sandy Beach has the whiff of value about him and looks fairly priced to find out. This race has tended to be a graveyard for favourites over the last decade, although soft or heavy ground doesn't apply today which may assist Yanworth who comes back from nearly a year off. A good criteria for value in this race is to focus on horses who ran on a Saturday last time out and have previously run in a race of at least a 3 miles. This has short-listed the winner 16 times since 1998 (16/83 +25.08 to SP). This improves to (16/75 +33.08), if excluding horses with a mark lower than 138. This angle has each way potential as when it misses the horse that finished 2nd is almost always short-listed too. This year the qualifiers are Shades Of Midnight and 2018 winner Donna's Diamond. It's easy to side with Shades Of Midnight, the latter is considerably up in weight from last year, lacks his preferred testing ground and finished 76 lengths behind Shades Of Midnight on their last start at Kelso. If the Yanworth of old turns up there will only be one winner, but Shades Of Midnight looks to have Clyne (who would definitely much prefer it a lot softer) to beat for 2nd, comes into this in-form and looks a fair price. I’m relieved the racing has survived at Sandown as finally we have a meeting run in the kind of conditions we’d expect for the time of year. Moreover, the ENIGMA Racing syndicates have a stake in Divine Spear who runs there today in the most backable handicap on the card, and there are good reasons to think he may be about to outrun his current quote of 22/1. Divine Spear is quite a big unit and it took him a while to fill out his frame. He’s a very solid jumper, chasing was always going to be his game and last year body and mind came together and we got a glimpse of the horse he could be. A freak injury on the very eve of the 2018 Festival spoiled the party as he’d been primed to arrive there at his peak. Going into that we were confident he was well-handicapped, and he’s since come down a couple of pounds. Rated 139, we think (and hope) he’s destined to wind up well into the 140’s over fences. With regard to today, it’s worth bearing in mind that Divine Spear's half-brother Jadanli was a Thyestes Chase winner who loved it soft and I think this is the sort of race the Spear been building up to his whole career. Put a line through the run last year at Musselburgh, that was purely for fitness – he’s better judged on the prior run when hacking up at Ascot on soft by 10 lengths in a novice chase (giving 5lbs to Exitas who is now rated 142). Divine Spear has often run well right-handed and, crucially, today he finally again gets his conditions. At Cheltenham on reappearance this year the yard thought he would run well, but the ground was very firm underneath and he didn’t travel a yard. Nico eased him down a long way out to save him for another day. We know he’s a lot better than that. He’s largely unfancied today coming off that run. It is possible that he’s lost his appetite for the game, but there’s no doubt in my mind he is overpriced to find out. My bigger concern is whether he’ll stay the 3-mile trip in these conditions at a course as stiff as Sandown. That is a journey into the unknown but his jumping, breeding and liking for the conditions give him a shot. Nico hasn’t lost faith in him either. 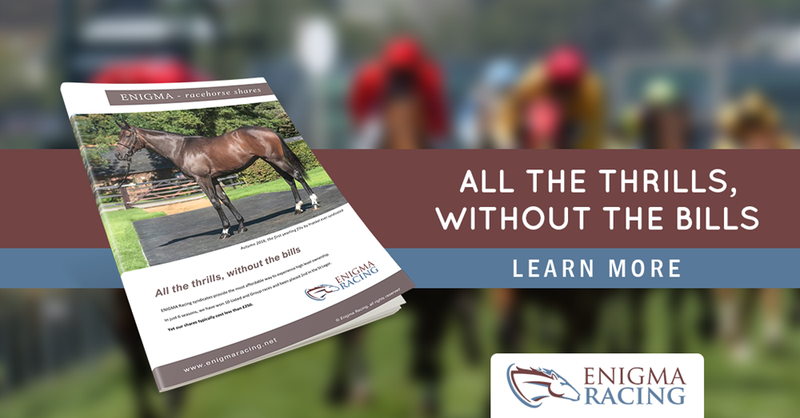 Looking for an affordable way to experience quality racehorse ownership? 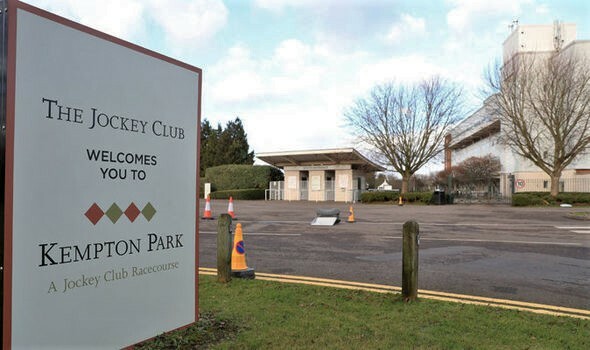 Hannon to having a stake in over 50 horses across GB and IRE. In that time, we have become the choice of the astute cost-conscious owner. Nowhere else offers more affordable access to the big time - the likes of Johnston, Hannon, Charlton, Henderson and Nicholls. The syndicates are popular because they offer great thrills and fun for a price everyone can afford. Because our share price is low, lots of people become involved who never thought they'd be able to afford a taste of real ownership. This affordability also means it’s easy to build a string of horses. The maths is simple. More horses means more chances of connecting with a really good one. As anyone who has spent thousands on bigger shares will tell you, ENIGMA offers practically all the same benefits (yard visits, prize money, sale proceeds) - while saving you huge amounts of money. Taking on royalty and the super-rich isn’t easy, but with our collective power we give ourselves real chances. In just 5 seasons we’ve won over 130 races – including 10 Listed and Group races, right up to Group 1. We've also finished 2nd in the St Leger. Entering the final furlong leading a British Classic is an experience tasted by very few - but we did. 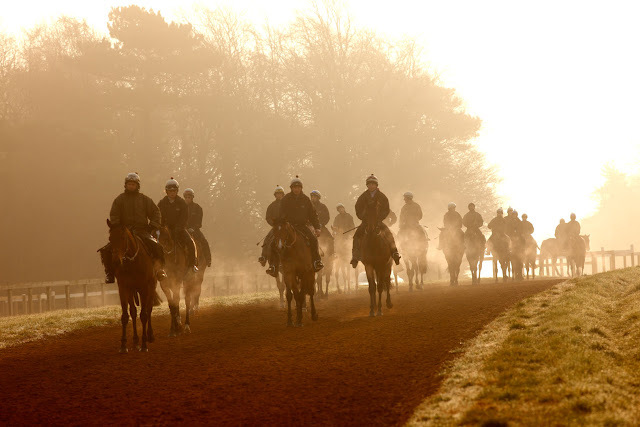 This year we have a horse entered in the British and Irish Guineas, and the French Derby. Nothing compares to the glory of beating Ballydoyle or Godolphin to win a decent race. Although, sometimes it can be about the money too. Last year a horse we held a stake in sold for £1,000,000, beating our previous highest earnings by a single horse in a calendar year of £950,000 (prize money + sale proceeds). The ENIGMA syndicates are primarily about fun, but the cheques when they come are very welcome. It's more ammunition! ENIGMA Racing shares are available exclusively to members of the ENIGMA Forum and everything posted on the forum sells out quickly. 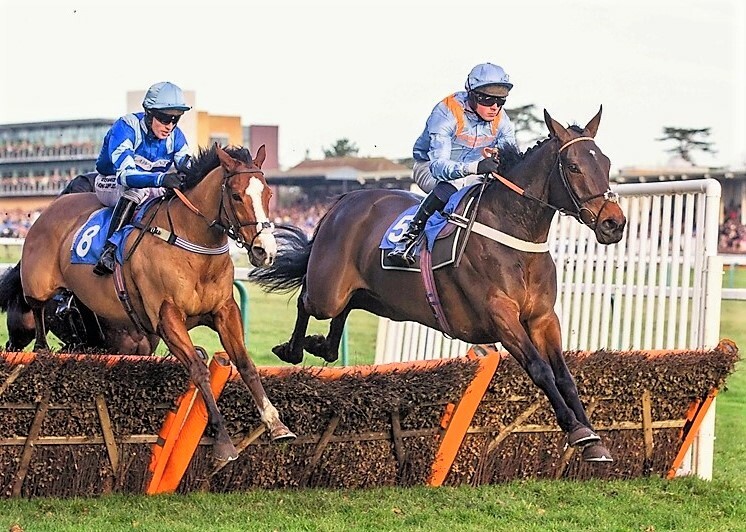 However we keep a few shares back for new members - a limited quantity in a range of nice horses, flat and jumps. Just email members@enigmaracing.net for the latest list. Banter, betting or bloodstock. 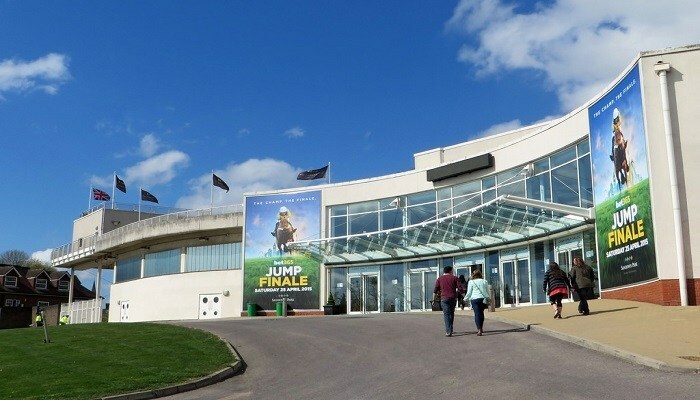 If you love your racing, there's nowhere quite like the ENIGMA Forum to enjoy it all - and zero risk with our handy 1-month trial.